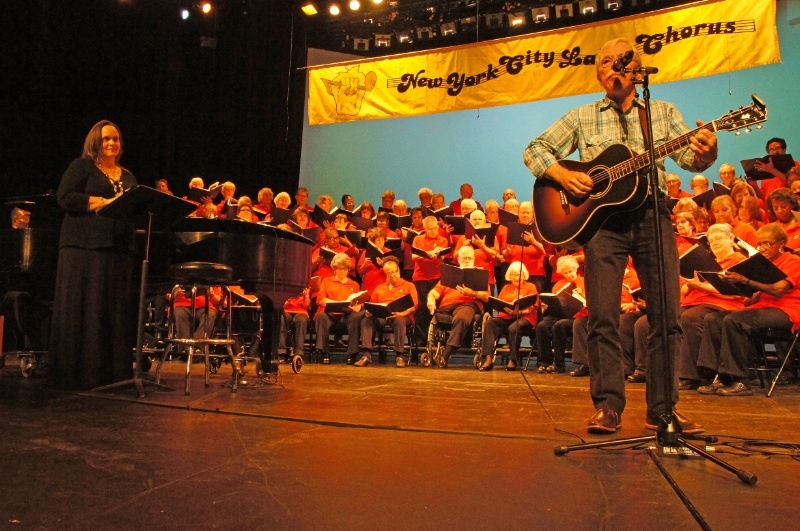 "The New York City Labor Chorus is a marvelous concept, and the members should be proud of the beautiful and passionate music they make. It's an essential recording for fans of political music, union songs or choral singing." 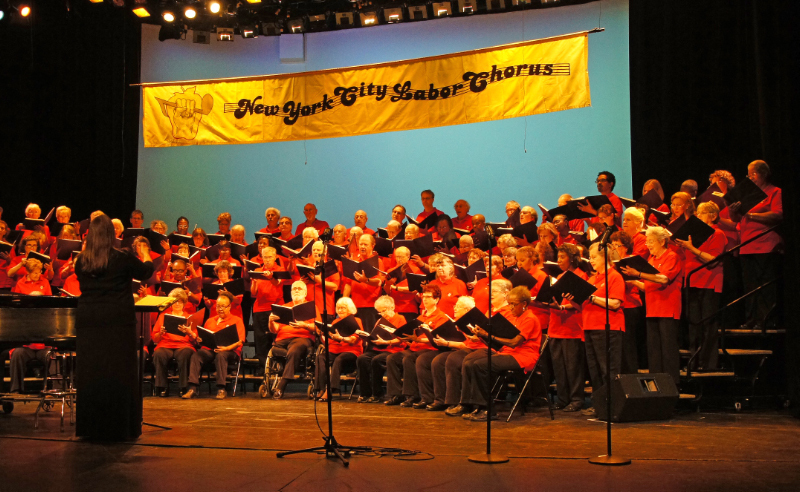 To share the activities and performances of the New York City Labor Chorus, you can use our email service to Tell A Friend. 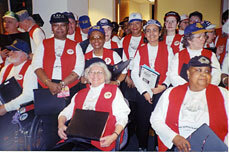 Please contact us to have the Chorus sing at your picket line, rally, meeting or other event. 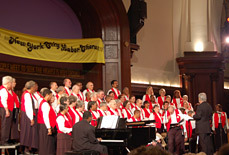 The New York City Labor Chorus stands ready to perform on picket lines, at union conventions, union rallies and shop steward meetings, as well as at community events, churches, colleges, and schools. Contact us for more information. We were joined by guest artist and composer Bill Valenti. 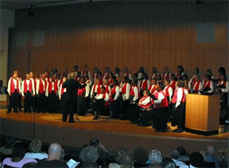 Singing our hearts out at the 8th Gala Benefit Concert. A Smashing Success! 600 attendees at the Ethical Culture Auditorium. Performing at a commemoration of the abolition of slavery in Great Britain 200 years ago at the British Consulate in Manhattan. 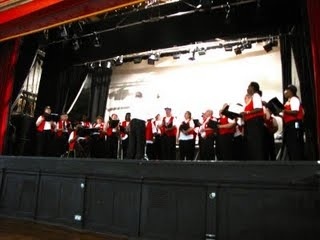 On the Chorus's July 2009 trip to Wales! 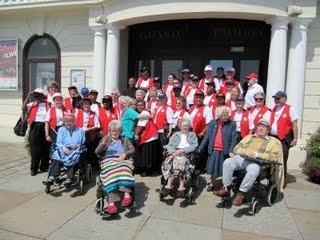 The Chorus sings on the stage of the Grand Pavilion at Porthcawl where "In 1957 a US Government travel ban prevented Paul Robeson from appearing in person [at the Grand Pavillion] at the Miners' Eisteddfod, however he still performed live via a secretly arranged transatlantic telephone link up." 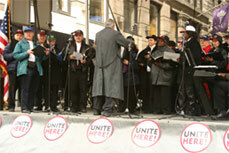 Performing at the site of the Triangle Shirtwaist Fire in a Commemoration ceremony hosted by UNITE on March 24, 2006.